Together with Mennonite Church Eastern Canada, Mennonite Church Manitoba, Mennonite Church Saskatchewan, Mennonite Church Alberta, and Mennonite Church British Columbia, we are 225 congregations with approximately 31,000 members. 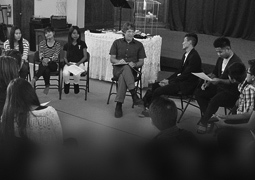 The Mennonite Church Canada national church office connects the various parts of the church with one another, focusing on three priorities: Forming a People of God, Growing Leaders, and Becoming a Global Church. The national church office serves Area Churches and Congregations via CommonWord, a multi-media Resource Centre and Bookstore, guest speakers, human resources assistance for pastoral placements, pension plan administration for congregational staff, peace advocacy with governments, workshops and seminars that guide faithful discernment on issues of the day, indigenous relations, international ministry in over 25 countries, and more. If you would like to host a guest speaker from Mennonite Church Canada, consult with the online Speakers Bureau listing. 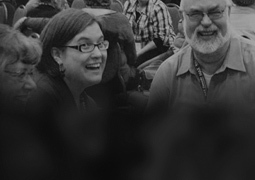 Mennonite World Conference (MWC) is called to be a communion (Koinonia) of Anabaptist-related churches linked to one another in a worldwide community of faith for fellowship, worship, service, and witness. MWC exists to (1) be a global community of faith in the Anabaptist-tradition, (2) facilitate relationships between Anabaptist-related churches worldwide, and (3) relate to other Christian world communions and organizations. as we facilitate relationships with other international Christian communities.